Beit Yeshua sponsors a covered-dish Seder as part of our Pesach celebration each year. Many times I get the question, "What can I bring that is 'kosher for Passover'?". During Passover, only unleavened bread is eaten during the 7-day festival. Leaven is symbolic of sin and is not to be eaten. Keeping kosher for Passover requires diligence to keep the "leaven" out of our food, just like it requires diligence to keep the "sin" out of our lives. 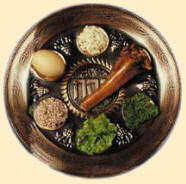 Food preparation for Passover is frequently a concern for those who have never participated in a Passover Seder before. It's actually easy - if you keep the recipes simple. Beit Yeshua follows the Sephardic Kashrut Laws for Passover which are less restrictive than the Ashkenazi Kashrut Laws for Passover. To avoid a catered-meal which would cost between $20-$35 each, we need your help to keep our Passover covered-dish-meal kosher for Passover. All Jews, both Sephardic and Ashkenazi, prohibit the eating of chametz/leaven during Passover as directed in the Torah. Chametz/Leaven items include the following grains: Wheat, Oats, Rye, Barley, Spelt. These grains are prohibited if they’ve had any contact with water/moisture, which leads to rising or “leavening" and were not fully baked within eighteen minutes from the moment of contact with water/moisture. Leavening agents like yeast and sourdough are also considered chametz. We will provide unleavened bread (Matzah) for each table as part of the Seder. Sephardic cuisine emphasizes salads, stuffed vegetables and vine leaves, olive oil, lentils, fresh and dried fruits, herbs and nuts, and chickpeas. Meat dishes often make use of lamb or ground beef. Fresh lemon juice is added to many soups and sauces. Many meat and rice dishes incorporate dried fruits such as apricots, prunes and raisins. Pine nuts are used as a garnish. Sephardic Jews ALLOW the eating of: Rice, Corn, Millet, Dried Beans & Lentils, Peas, Green Beans, Soybeans, Peanuts, Sesame Seeds, Poppy Seeds and Mustard. Ashkenazi Jews do not allow them. ALL fresh and unprocessed fruits and vegetables are kosher for Passover and may be used in your Passover recipes. Just be sure to avoid flour for thickening and pork for seasoning. Meats such as Chicken, Beef, Lamb & Fish are kosher for Passover. Baked chicken, grilled chicken, stewed chicken, chicken salad and may other forms of chicken are all wonderful for Passover, but fried chicken (rolled in flour) is NOT. That means Kentucky Fried Chicken "original" & "extra-crispy" would NOT be kosher for Passover - because of the flour it's rolled in before frying. Pork products such as bacon, sausage, ham, pork loin or pork chops are NEVER kosher and thus NOT kosher for Passover. The following crustaceans are also NOT kosher - thus NOT kosher for Passover: Catfish or other bottom-dweller fish such as Shrimp, Crab, Clams and Lobster. Gelatin is NOT kosher, however JELL-O brand gelatin is certified as Kosher. Marshmallows are usually NOT kosher - but kosher marshmallows can be found (they must be made from fish gelatin or kosher certified beef hides). Marshmallow Fluff Cream is kosher. 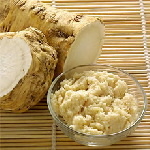 Many of your favorite family recipes would be kosher for Passover or you can search the Internet for Passover Recipes. If you prepare a dish with turkey-bacon, turkey-sausage, or some food product that looks non-kosher, please label that the dish has the kosher ingredient. In order to provide a covered-dish-meal that takes into consideration the restrictions of Passover, please pass this information on to your family and friends who will be joining us for Passover this year. You can also find lots of recipes on the internet if you'll do a Google search for "Passover Recipes".